When a college student from Maryland spent a semester in South Africa, she expected to teach English and share with her students American culture through an African-American lens. Instead, Breana Ross' journey left her with a mindset shift, and an award from her study abroad program. When a college student from Clinton, Maryland, spent a semester in South Africa, she expected to teach English and share American culture with her students through an African-American lens. Instead, Breana Ross’ journey left her with a mindset shift, and an award from her study abroad program. 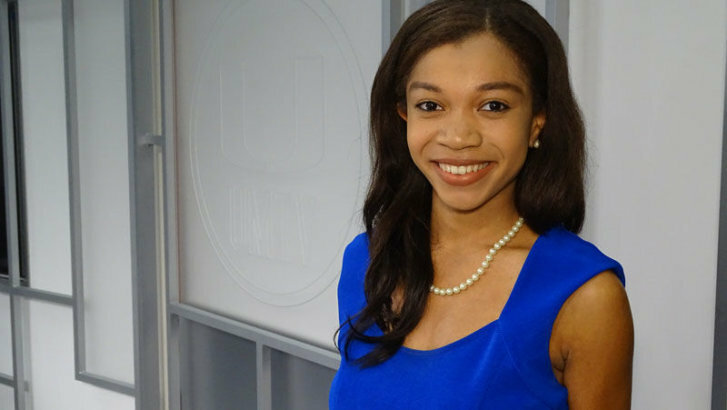 Ross, who is wrapping up her final semester at University of Miami, has been awarded the Institute for the International Education of Students’ annual Global Citizen Award. The Institute for the International Education of Students (IES) is a nonprofit that has been around for more than 65 years under a few different names. However, their Global Citizen of the Year award is on the new side — in its third year. The winner and finalists were among those who submitted applications for award consideration. Ross has won a $1,000 cash prize, and three other finalists each won $400 in cash. “An international jury of IES Abroad employees reviewed the student applications, looking for contributions the students made that affected their local community while abroad; lessons they learned not only about themselves, but also about the local community in which they lived; and plans to sustain or continue their impact once they have returned from abroad,” a news release announcing the awards said. Ross told WTOP that service has always been part of her life. “I grew up working in homeless shelters in the D.C. area with my mom,” she said. Ross thought she knew what poverty looked like as a result of her volunteer work, she said. However, she was shocked by what she observed in the communities where she worked as a reading and math teacher to second and third graders during the spring semester of 2018. But Ross also noted that while those students may have been some of the poorest she has taught, they were also the happiest. Ross said she may have been guilty of seeing service as more of a one-way street before leaving for South Africa. That changed during her time abroad and from her experiences teaching in the Nyanga and Manenberg townships through a program called SHAWCO, which is an organization led by students at the University of Cape Town. Ross blogged about her experiences. Her semester abroad has influenced how she thinks about youngsters who participate in “Written in my Soul,” the writing program Ross founded at a Miami-area elementary school when she was a sophomore. The organization aims to teach youth from socioeconomically challenged backgrounds healthy self-expression using poetry. The program has expanded to a couple of schools and community centers in Miami.